Fluid flow meters are divided into two functional groups – One measures quantity (Positive Displacement); the other measures rate of flow (Inferential.) All fluid meters, however, consist of two distinct parts, each of which has different functions to perform. The first is the primary element, which is in contact with the fluid, resulting in some form of interaction. This interaction may be that of imparting motion to the primary element; the fluid may be accelerated etc. The second or secondary element translates the interaction between fluid and primary element into a signal that can be converted into volume, weights or rates of flow and indicates or records the results. For example, a weigher uses weighing tanks as its primary element and a counter for recording the number of fillings and dumpings as its secondary element. n an orifice meter, the orifice together with the adjacent part of the pipe and the pressure connections, constitute the primary element, while the secondary element consists of a differential pressure device together with some sort of mechanism for translating a pressure difference into a rate of flow and indicating the result, in some cases also recording it graphically and integrating with respect to the time. This same combination of primary and secondary elements will be observed in almost all other types of meters. Some of the more common positive displacement meters are: Weighers, Reciprocating Piston, Rotating Piston, Nutating Disk, Sliding and Rotating Vanes, Gear and Lobed Impeller, and the meter most commonly used to sell small quantities of gas at relatively low flow rates, the Bellows meter. The most commonly used rate or inferential meter is the thin-plate, concentric orifice. Flow Nozzles and Venturi Tubes are primary rate devices which will handle about 60% more flow than an orifice plate for the same bore under the same conditions, and can therefore handle higher velocity flows. If a differential limit is chosen, then a smaller bore nozzle or Venturi may be used to measure the same flow. They are more expensive to install and do not lend themselves to as easy size change or inspection as orifice plates. A Pitot or impact tube makes use of the difference between the static and kinetic pressures at a single point. A similar device which is in effect a multiple pitot tube, averages the flow profile. A Turbine meter is one in which the primary element is kept in rotation by the linear velocity of the stream in which it is immersed. The number of revolutions the device makes is proportional to the rate of flow. 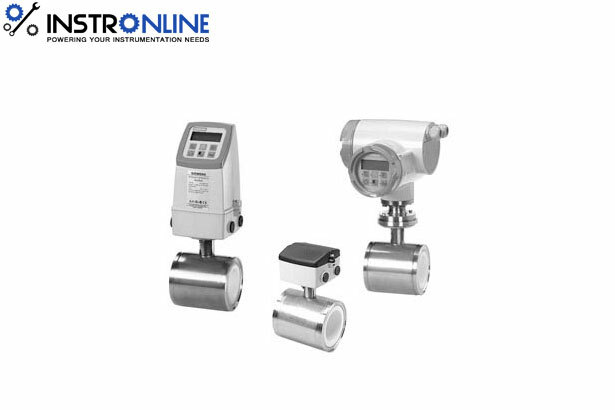 These are devices that have similar applications in flow measurement.